What is the Most Inexpensive way to Bind Documents? There are so many different ways to document bind, and they can vary quite a bit in price. So I have put together this list of some of the most inexpensive ways to bind documents, separated by category of the general kind of binding. This includes binding with a hole punch, binding with a punch-and-bind machine, and binding without punching at all. 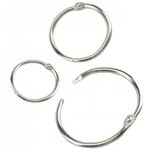 Looseleaf binder rings are a favorite...in fact, they are one of our most-sold items. 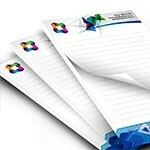 They snap easily open and closed, and you can use as many as you want on a single document. They work with standard hole puncher hole sizes, so you don't need any special machine to punch for them. Plus, there are metal binder rings or plastic binder rings available, as well as several sizes, shapes, and styles. They start at just $12.60 for a pack of 100 rings; that's only about $0.12 each. Click here to shop looseleaf binder rings. Just like binding rings, binding posts (also called Chicago screws)go through any (or as few) standard hole punched you want to use on your book. So you can just punch 1 hole in the corner, two at the top, three or 20 along the binding edge...whatever you want. Screw posts also come in several materials, styles, and colors, including aluminum, steel, plastic, plastic with loops, and more. 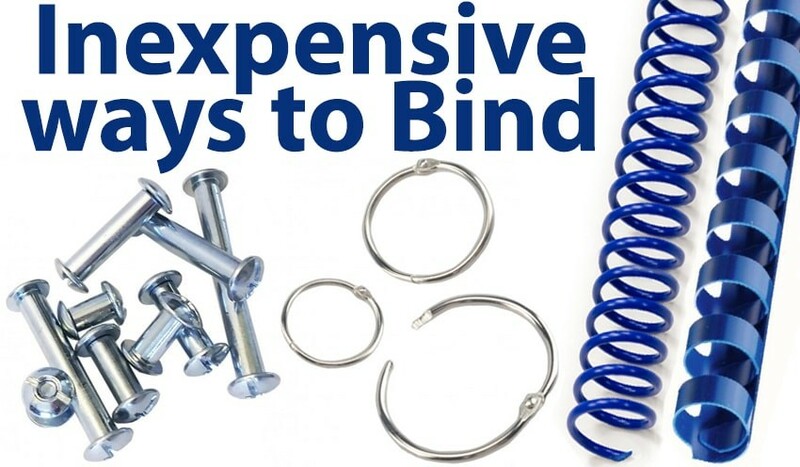 They start at just $7.08 for a pack of 100 binding post sets; that's only $0.07 each. 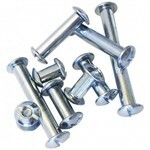 Click here to check out the different screw posts available. Everyone knows what a ring binder is! They are convenient, durable, and a great way to bind when all you have is a hole puncher. We have letter size binders, mini binders made for half-letter 8.5" x 5.5" sheets, and can also custom-make ring binders in any size you need. Choose from poly plastic ring binders or standard clearview binders. Our binders start at just $1.27 each, so are a very affordable way to bind pages. 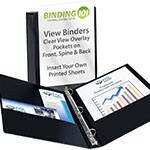 Check out our full variety of ring binders here. The least expensive punch-and-bind document binding is going to be plastic comb binding. 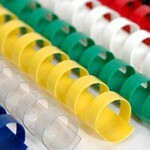 Also called GBC combs, these plastic binder spines are incredibly affordable as consumables, and very easy to bind with. 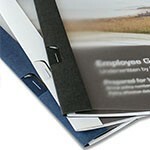 With plastic comb binding, your continued cost to bind stays low. The plastic GBC comb bindings start at about $0.01 each (yep, 1 penny) and the comb binding machines themselves that you can use to bind start at about $100. Click here to shop plastic GBC binding combs, or click here to shop comb binding machines. Plastic coil is a small step up from GBC combs in regards to price, but is still a very affordable way to bind documents. 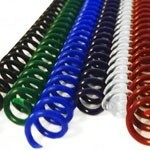 Plastic binding coils come in a huge selection of sizes and colors, and are incredibly flexible, which makes them very popular. The affordable consumables and the incredible durability of these coil binders make them very popular. They start at only about $0.03 each, and the machines at about $170. Click here to shop plastic coil bindings, or click here to browse spiral binding machines. 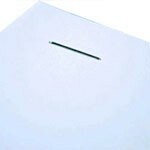 A great way to bind without needing any kind of punch and binding machine is to pad. Padding is where you make pads of paper. While there are "padding presses" available, it is also very easy to do without any machine or press at all. Just clamp all of your pages together, add a chipboard sheet to the back (if you want), and use specially formulated padding compound to bind the pages together. It takes about half an hour to dry and bind completely, but is very easy, and you can make several pads at a time and then just cut the glue behind the chipboard to separate them. A container of padding glue is just $17.40 and will yield about 19 sq ft of paper pads. Click here to shop padding supplies. There is nothing super special to say about stapling -- we all know just how easy it is and how fast it its. We stock a variety of staplers perfect for any office. With heavy duty staplers, long reach staplers, and multi-head staplers, we have everything you need for professional stapling in the office. Staplers can be found at your local discount or school supply store for very cheap; we're talking a couple bucks. Or you can buy a professional-level stapler here, which starts at about $100 and is meant for higher volume stapling. These wrap around covers will use your stapler, but bring your plain stapled pages to a new level of professionalism and presentation. They have a clear front to show your first page, and a premium linen back and spine wrap-around that is available in three different colors: white, black, or blue. They are called Agility covers, and they are made by the internationally known, Coverbind. They take two staples to bind, and they are fairly inexpensive, at about $1.25 each. Click here to view more info about the Agility covers. What are your thoughts on my list of some of the most inexpensive ways to bind pages together? Are you a fan of the loose leaf options, the punch-and-bind options, or the options that don't require any punching at all? Send me an email to info@buy101.com with your comments, or to let me know if you disagree, and have a totally different binding solution that is inexpensive and effective.